In addition to our great products, we offer several services to help you and the community. We offer Delivery of landscape materials, Recycling of your yard waste, a community Care and Share Program to benefit Care and Share, and Mobile Grinding & Land Clearing. We offer delivery service to the Pikes Peak region and other places. 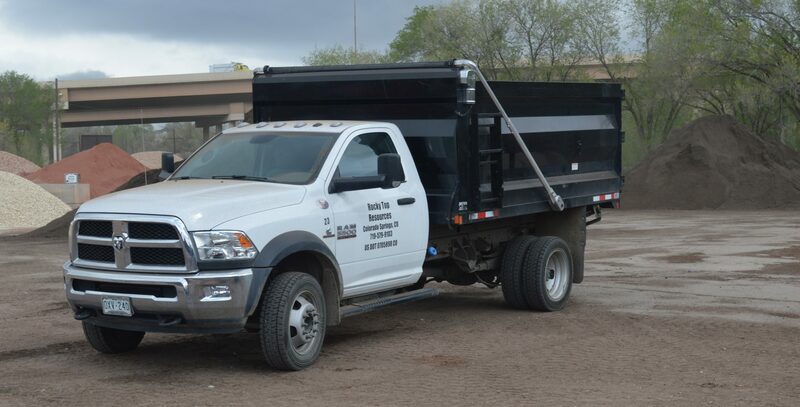 We have a variety of truck sizes to deliver the amount you need as well as access to tighter streets in some cases. Call for availability and pricing. We recycle and manufacture nearly all of our own mulch from recycled, clean wood waste. This allows us to offer quality mulches at competitive prices. 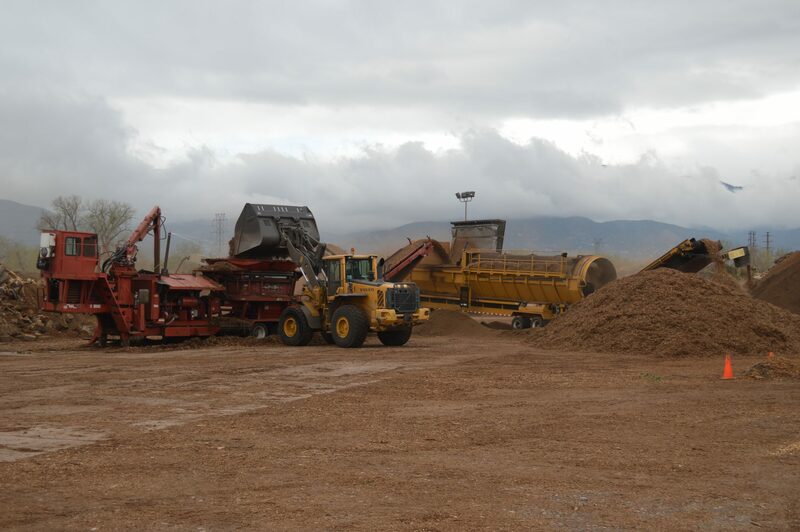 Since we recycle the clean wood waste into mulches and soil amendments, we cannot take any wood that has been stained, treated, or painted, according to our best judgement, due to the chemicals in them. While we do color our mulch, we use a non-toxic, biodegradable colorant that is not harmful to plants, animals, or the environment. Loads with any amount of trash. Due to the amount of trash coming in with loads, this is a very strict, no tolerance rule. No sorting will be allowed when dumping; please sort and remove any trash prior to coming. There is a fee Monday-Friday for recycling. Most loads will have a cubic yard rate, and some loads are a per load rate to drop off. However, every Saturday you can drop off most yard waste (not including dirt, rock, stumps, roots, or loads with dirt) at no charge with donations to Care and Share. Dirt, rock, stumps, roots, or loads with dirt are charged at normal pricing. This is for homeowners only and does not apply to contractors. Partnering with the community and Care and Share we are helping to alleviate some of the fire risk in a city that has hundreds of acres of dry forest. 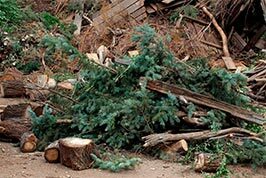 Residents of Teller and El Paso counties can drop off their yard waste (branches, needles, leaves, grass, sod and more) at our location for free every Saturday with canned food or monetary donations which all go to Care and Share. Dirt, rock, stumps, roots, or loads with dirt are all charged at normal pricing, however. Contractors still pay normal dumping rates. Please see a list of our accepted items under Recycling. 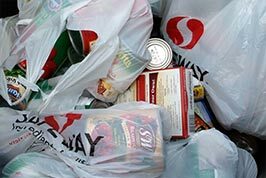 From 2007-2011, residents donated over 1 millions pounds of food, and the last 6 years has averaged 200,000 pounds per year! Thank you to all who have participated in this program! **This is limited to tree and bush debris (including needles and leaves), grass trimmings, clean sod(no sprinkler parts, etc.) and clean lumber and fencing. In addition to our location, you can also drop off slash in Black Forest at SAMCOM on the corner of Herring and Shoup. They also accept food donations for Care and Share with each load. Please check out the SAMCOM website for additional information and hours of operation. We also have a mobile grinding unit and can offer land clearing as well. We have the capability to process large quantities of material in a short amount of time.